Black Rifle Coffee Company is now offering their own take on the beloved military-issue pancho liner, AKA the Woobie. 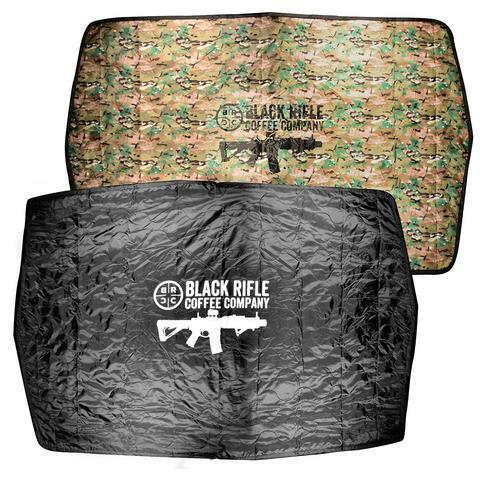 Sized 80″ x 56″, the Logo Woobie features the BRCC ‘SBR’ logo, printed center on both sides, which are camouflage and black. This entry was posted on Sunday, February 3rd, 2019 at 23:52	and is filed under Morale, Survival. You can follow any responses to this entry through the RSS 2.0 feed. Both comments and pings are currently closed.